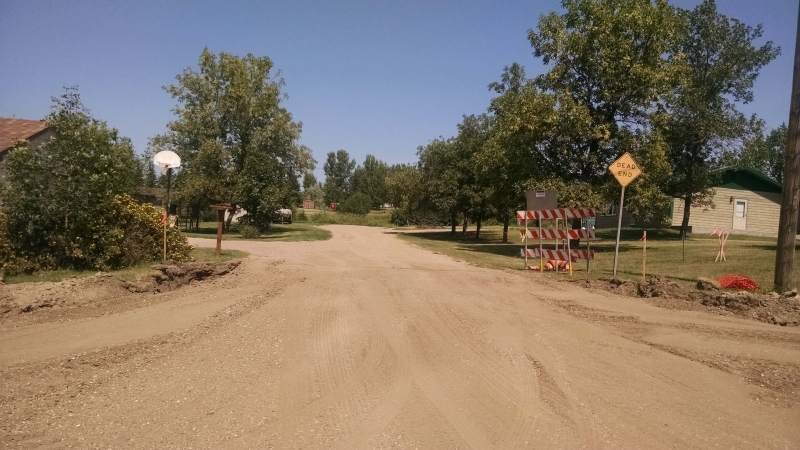 This project consisted of full removal and reconstruction of nearly one mile of rural roadway. 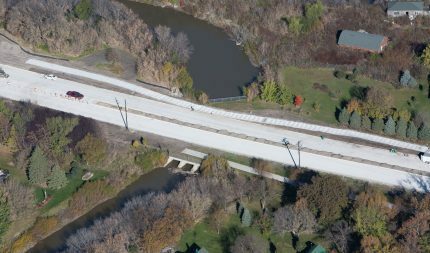 Design challenges included an existing roadway corridor that has 130 feet of vertical change over the length of the project. The stretch also had over 40 driveways and street approaches. 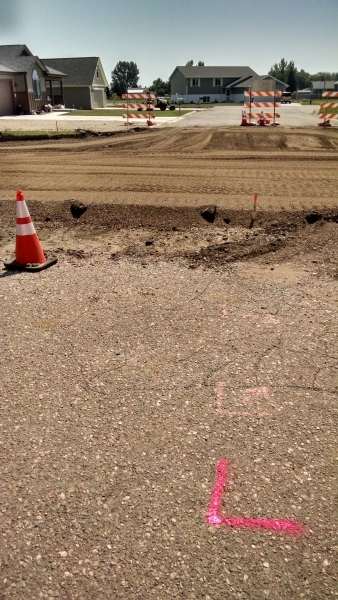 The north side of the road was considerably higher than the south side, creating an additional constraint not typically encountered. 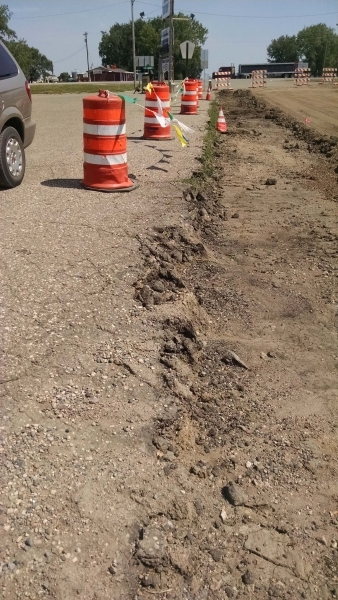 Moore Engineering collaborated with the City of Kenmare and Ward County in preparation of the street, storm sewer and minor water main design for areas within the project limits. Moore performed design, construction administration, observation and construction staking. Moore kept in close communication with the city to minimize disruption to residential traffic during construction and held multiple public information meetings during design and construction. Moore Engineering prepared the Transportation Alternatives Program (TAP) application on behalf of the city to receive federal funding for the future sidewalk and street lighting project. The existing two-lane rural roadway section was replaced with an urbanized two-lane concrete road. 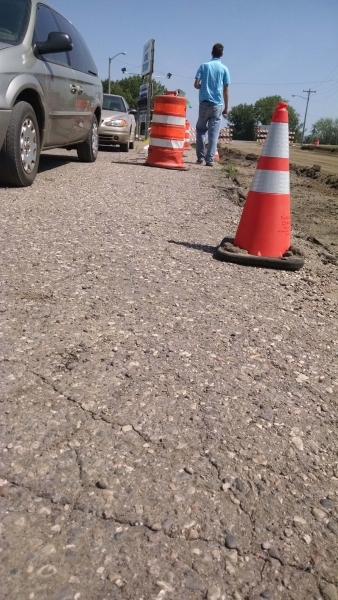 The quality of the road surface was improved, eliminating the significant repairs that were required annually to fix the potholes and cracks that were appearing due to the heavy traffic using the road. The design also accommodates the future sidewalk and street lighting planned for the corridor.